Love the way Fred holds Mary's hand and looks at her. Seems like they really enjoy this trip. Pictures 5, 7 and 8! I quite like the last one of Mary holding Frederik's arm and laughing! I love the one of Letizia and Elena, they seem to be laughing about somethng The ones with SOfia are very sweet too, but I guess we get to see them more often interacting on such warm level! I love this thread. Thanks for all pictures. 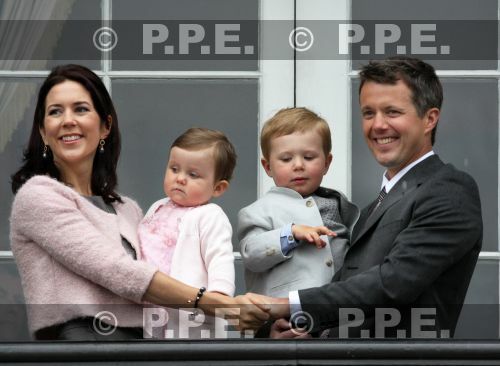 16-05-2008 Fredensborg Crown Prince Frederik, Crown Princess Mary. Pictures were made to a book in connection with his 40th Birthday on the 26th of May. I love how she holds his hand that lies on her shoulder. Hmm.. I think they didn't celebrate it (well, maybe privately of course). 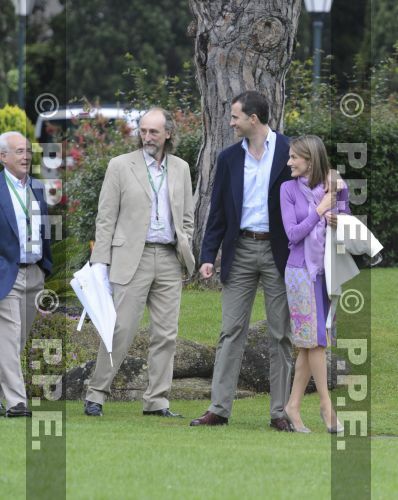 Those pictures were taken while Felipe and Letizia were in Gerona (for official events). They were taken while they were walking around at La Gavina Hotel´s garden in S´Agaro. So, this was not an official photoshoot, but pictures taken by photographers who waited for them infront of the hotel. PPE just published them to mark their 4th anniversary. Prince Joachim kissing Princess Marie after they said "Yes"
They are a very lovely couple. It was so cute when Joachim started to cry when he saw his bride.